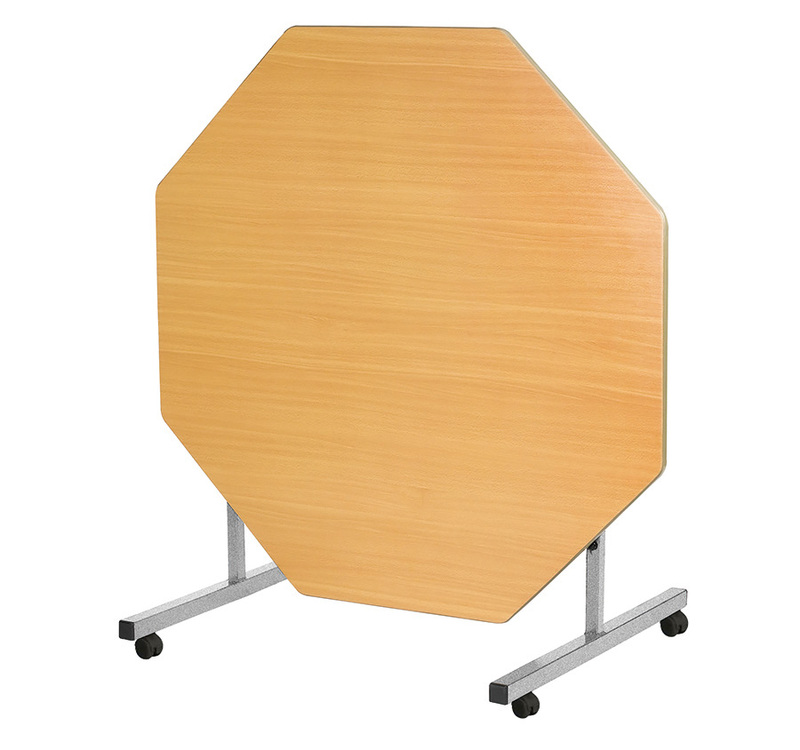 The octagonal tilt top dining table is ideal for use in school dining halls as it is easy to open, close and then wheel away for storage when not in use. 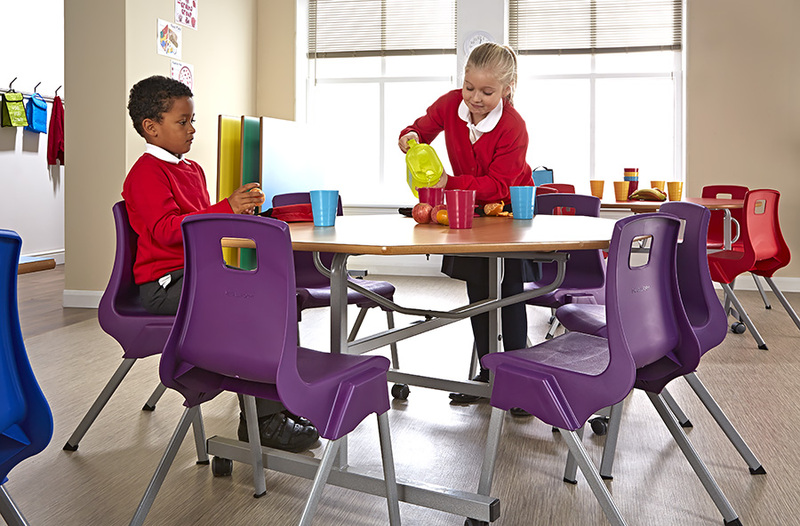 Four height options are available for the octagonal folding dining table for children aged 6-14+ so it can be used in primary of secondary schools. 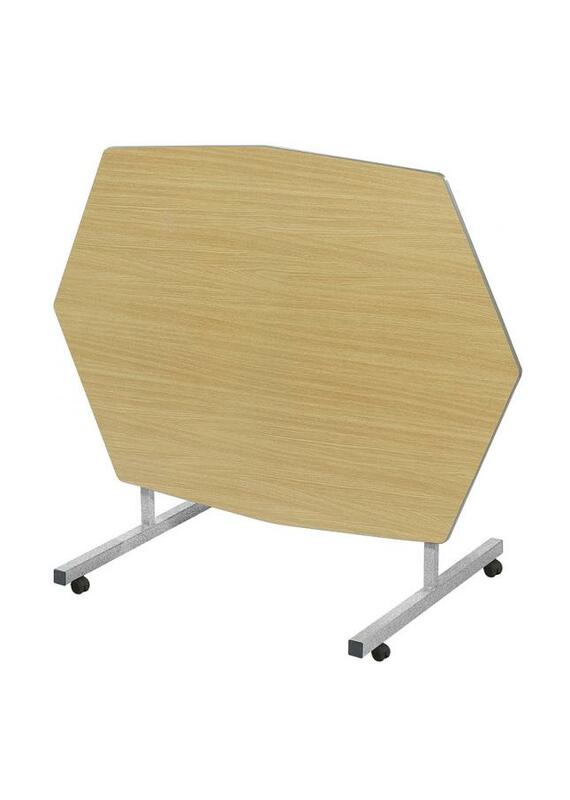 There are 2 table top sizes to choose - an equal octagon shape (1200mm x 1200mm) and an irregular octagon (1380mm x 1000mm). The table has a robust, steel frame finished in a speckled light grey paint. The table top is manufactured using MDF with a tough, textured edge. The table top comes in a choice of 10 vibrant colours with 3 edge colours to choose from. 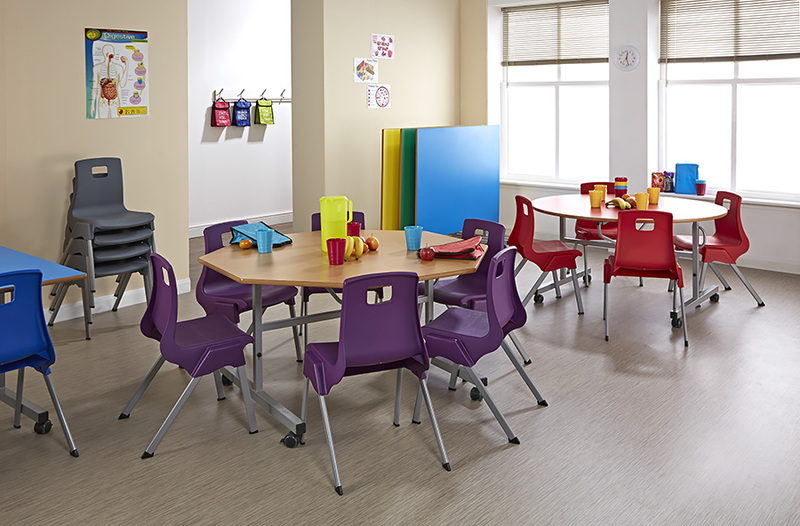 This folding school dining table has four locking castors which allow you to lock the table in place and then unlock for easy transportation and storage. The tilt top dining tables are also available in Rectangular, Circular and Oval shapes and include a 5 year warranty.